We All Belong to 7 Soul Groups! How Many Soul Groups You Have Yet to Discover In Your Life? If you feel you don’t belong, chances are you haven’t meet your soul group yet. The very fact that you feel alone at some point is a nudging from your soul that says you need to find the soul group with which you truly belong. 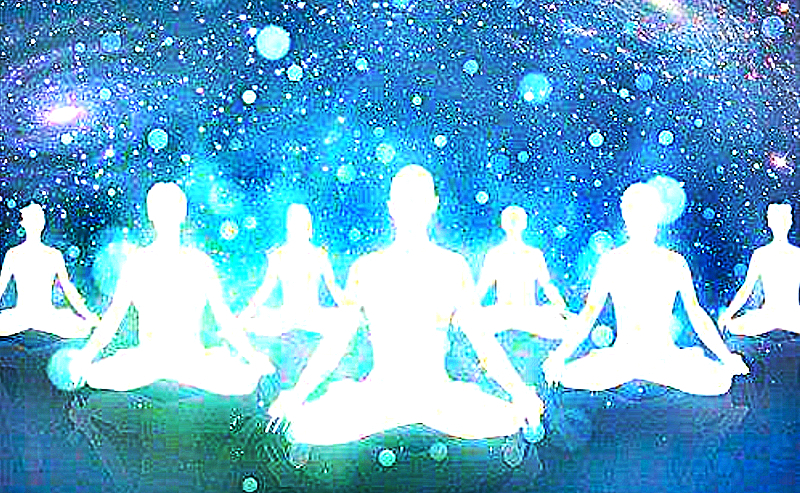 Though everyone’s path is unique, there is a soul group which is energetically in harmony with yours. This soul group is connected to you through higher realms. Your soul belongs to certain soul groups that have a distinct purpose in your life. In fact, we all belong to 7 specific soul groups! Find out what soul groups you’ve already discovered and what will yet be introduced in your life. We all came from the same Source energy. This is what makes us all connected. Our souls only choose to materialize in the planet Earth, which makes us the Source of all life on Earth. Every thing we do, big or small, creates ripples in the entire cosmos. When we do negative things or harm ourselves, we are sending energies that contribute to the shape of the universe. Similarly, when we do good unto ourselves or send out good thoughts, this positivity will help shape the world we live in. This group is more about you recognizing that we are all one. Everyone and everything belongs in this group, however, only the ones you recognize as living conscious beings feel like a part of it. The people who form your Soul Community are the ones who share the same lessons and themes in life as you. They are here to learn a particular lesson, share creative ideas, or bring inspiration. These people share the same philosophy in life as you. They might have struggled with the same problems as you. These people could be strangers whose significant encounter with you eased your mood after having a bad day. Or, they could be teachers who impressed you while growing up. Members of your Soul Community don’t necessarily stay with you all throughout your life. They could disappear once they have served their purpose of touching your life in a significant way. Thus, their number could be in hundreds or thousands, depending on your chosen path. We meet members from this group almost every day, especially in social media communities. Your soul tribe is composed by people who share the same purpose in life as you. Members of your Soul Tribe are mostly relatives, friends, coworkers, employees, or other people who inspire you or who have the same purpose as you. They are physically close to you, they might be from the same neighborhood, workplace, school, etc. Even though many of them might have different missions, and some might even seem contradictory to yours, you all share the same bigger purpose. You are all adding up to each other’s evolution. Your Soul Family is your immediate family. They are the people whom you have chosen to incarnate with in your present life. This group also includes the people who have taken the role of being a family to you. Members in this Soul group share a closer bond with the purpose of learning the same lessons in this lifetime. You all agreed to be genetically connected because you share the same aim of experiencing a similar set of life circumstances. By coming into a certain gene pool, you will all explore certain themes, patterns, and energies, which you all agreed in higher realms. Your soul’s purpose might not be the same as theirs. They might not be a part of your Soul Tribe, however, they share a biological bond with you and they are the first ones who are willing to go out of their own way to help you. These people are most likely members of your close family, but sometimes people can be a part of your soul family even if they do not share a genetic bond with you. Soulmates is the most significant group you will ever have to meet. When you meet members of the Soulmates Group, you will go through spiritual awakening or experience deeper spiritual connection. This is a small group that consists only of approximately 3 to 9 people who play a significant role in your life. Members in your Soulmates Group could include family, really close friends, or even lovers. They are the people responsible for creating changes in your life and touch you to the core. They will reflect your deepest unconscious layers. They will either highlight your weaknesses that you need to work on, your soul’s purpose or your greatest strengths. The connection you have with them is so strong they could either make you or break you. They challenge you and even push you to your limits. When you first meet, feelings of familiarity are aroused, as if you have already meet in a prior lifetime. When ego comes to play you might see them as competition or start to despise them because they might show you the sides of yourself you want to suppress. Your Soulmates group is the one you trained and study with in higher realms. It’s where you all agreed to learn the same lessons and help each other. You are the team, the gang, the fellowship that shares the same quest. Not all of our energy enters into our body the moment we come to Earth. The rest of it can either stay in the higher realms or enter into another body. Having two bodies with the same soul energy is what’s referred to as a Twin Flame. Most souls have parts of their energy remain in the higher realms, thus it’s rare for one to have a Twin Flame on Earth. It takes a lot of hard work for a soul to reincarnate in two bodies. Consequently, this experience could only happen to advanced souls who need to learn lessons quickly. During their time on Earth, Twin Flames often find each other, but their connection is not merely romantic as what is popularly believed. Their connection is for a higher cause which involves imparting knowledge and wisdom. Initially, their meeting is characterized by intense emotions, but as they loosen up, they soon start to recognize the purpose of their connection and that is fulfilling their mission which is designed only for the two of them to accomplish. This group is consisted of everything you make a part of your world. The members are usually people you’ve consciously filtered out. We are all a part of each other’s worlds to an extent. There are people who you’ve made to be a part of your world because you recognized a part of yourself in them. Or, they might be someone you’ve chosen to make you company. For whatever the reason they are souls you’ve let into your world. The members don’t need to be people necessarily. A lot of members of the Personal Soul Group are pets people choose to take care of. The members of this group are a mix from all the other groups, however, they are a part of this group because you’ve decided to let them be a part of your world. They are there because of your free will. Children are a part of this group as well.